During the first circumnavigation, while crossing the Southern Ocean towards Cape Horn and later in the South Atlantic, Berrimilla’s nearest neighbours for a short time each day were the crew of the International Space Station (ISS), NASA Astronaut Dr.Leroy Chiao and Russian Cosmonaut Colonel Salizhan Sharipov. The ISS was in orbit about 300 km above and the two crews were in contact several times. They recognised the similarity of their situations. Leroy retired from NASA in 2006 and, in his new life as the first Raborn Distinguished Chair Professor at Louisiana State University (LSU), he invited us to take part in a Symposium on Risk and Exploration, using our voyage as a simple analogue for a journey into deep space. Will you sail the North West Passage? 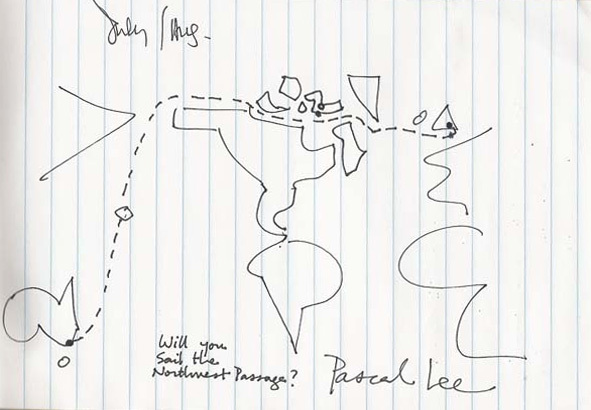 After the Symposium, in a bar on the edge of LSU’s Campus, another of the participants, Pascal Lee, drew a map in my notebook and signed it. 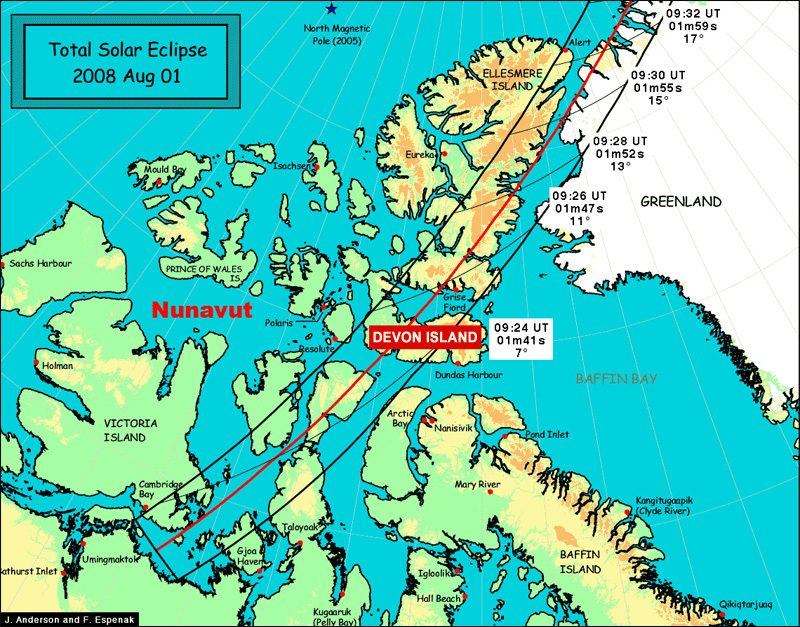 This became the chart for another, rather more symbolic, voyage through the Northwest Passage to link up with NASA’s Haughton-Mars Project on Devon Island, which Pascal runs, in time to observe the total solar eclipse on 1 August 2008. It seemed like a neat idea and there were lots of suggestions about how it could be used for educational purposes the concept was full of opportunities to demonstrate aspects of science, history, exploration, environmental change, planning and human relationships in difficult circumstances. A plan is useless. Planning is everything! I did some back-of-an-envelope calculations in the bar and it seemed to be feasible, so I started some more intensive research and planning when I returned to Sydney. This began as a list, became a list of lists, and gradually subsided again into one big list – weather patterns, ice in all its forms, charts, software, fuel supplies, food, watermakers, distances, equipment, phone numbers, websites, potential contacts, communications, polar bears, visa requirements and on and on. Plus making sure Berrimilla was as seaworthy and prepared as possible. 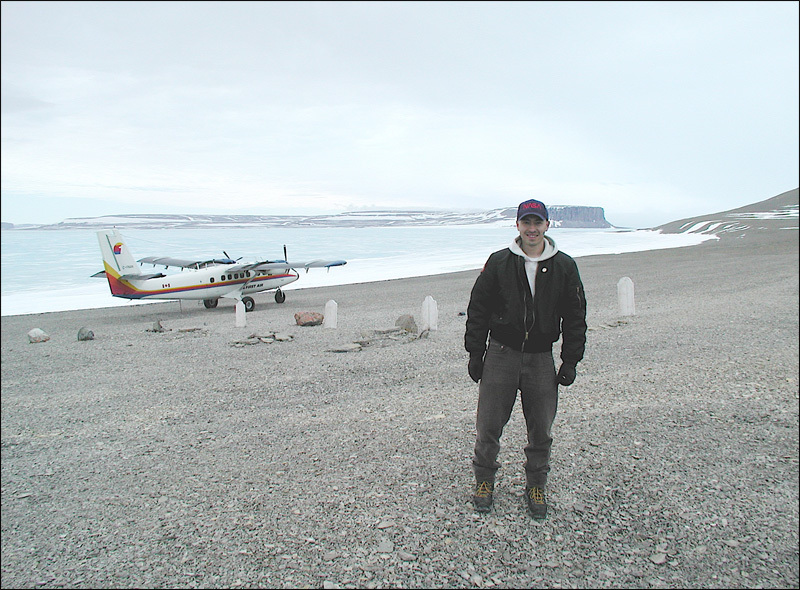 Plus, of course, reading everything available on weather, ice, high Arctic navigation, the Inuit, the Franklin Expedition and the history of other people’s attempts to make the transit. Pete was all set to come along, but had to jump ship fairly close to the point of no go for the whole gig. I trawled through the list of my other geriatric friends in Australia and the UK, and you’ve never seen so many slopey shoulders and heard such sucking of teeth and shuffling feet as people slunk away into corners. Kimbra Lindus had already agreed to join Berri in Dutch Harbor for the actual Passage and whatever we decided to do afterwards, but she could not take time off work for the whole gig. I remembered that Corrie McQueen had professed some excitement at the idea so I emailed her and, to her eternal credit, she jumped on a plane and came out. 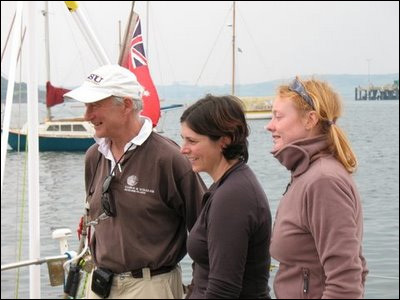 Both Corrie and Kimbra are past Clipper Race circumnavigators so have plenty of ocean experience – but in very big boats. Anyway, that sorted the Pacific leg to Dutch Harbor and we had a team for all the sailing bits. David Speed, of Superman 1 & 2 fame, volunteered to set up a website so we had visibility as well. Thanks, Speedy. 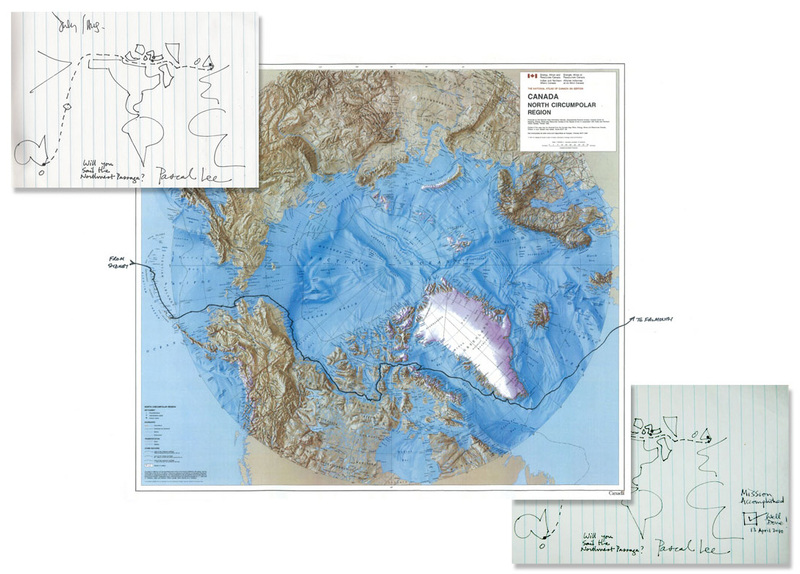 The North West passage looks so easy on Pascal Lee’s sketch chart. Not to be used for navigation presumably. The total eclipse of the Sun was visible from within a narrow corridor that traverses Canada, northern Greenland, the Arctic, central Russia, Mongolia, and China.